And, be sure to join us on March 9 @ 11am & 3:30pm CST as we explore THEATER. Visit KLRN's website for more information about our ARTS series. Resources in the Music Arts Toolkit collection explore the history and elements of music. Through live performances and interviews, the collection represents a wide variety of cultures, periods, and styles of music. Enjoy this music-making storybook lesson with a very musical kindergartner named Violet. Practice retelling a story using characters, setting and key details. Vote for your favorite musical videos and make your own instruments at home! In this Dinosaur Train clip, Shiny learns about teamwork, and all the kids learn about the place of improvisation in the creation of music. Explore interactive tools designed to develop students’ ability to detect musical errors and strengthen music-reading skills. Music Mentor takes on the role of a mentor, students listen to a peer perform musical phrases shown on screen, and must offer feedback to help improve the performance. Noteflight is an online notation software that enables users to compose and arrange scores. Soundation is an online music creation studio that enables users to create, edit, mix, and share music using functionality similar to GarageBand. In this lesson, students will explore fractions through rhythmic sequences. In this interactive, students explore the relationship between sound frequencies and the length of pipes on a pan flute. By answering questions about the values of ratios and completing a chart, students are introduced to the concept of an inverse proportional relationship. The accompanying activity helps students explore the mathematical relationships that exist among musical notes and their frequencies. 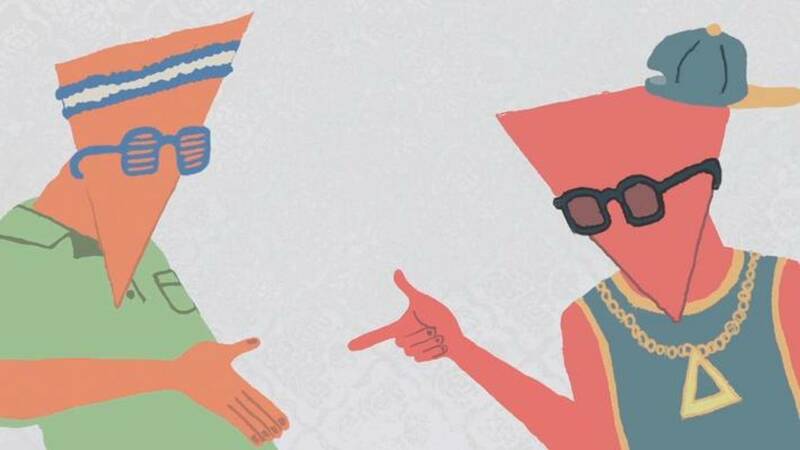 Watch and listen to how to find the area of a triangle set to hip-hop music. This video focuses on calculating the area of triangles, and explains why the equation works. Note: This video was submitted through the Innovation Math Challenge, a contest open to professional and nonprofessional producers. Maps help illuminate the relationships among the various composers as well as connections between music and its broader historical and cultural context.